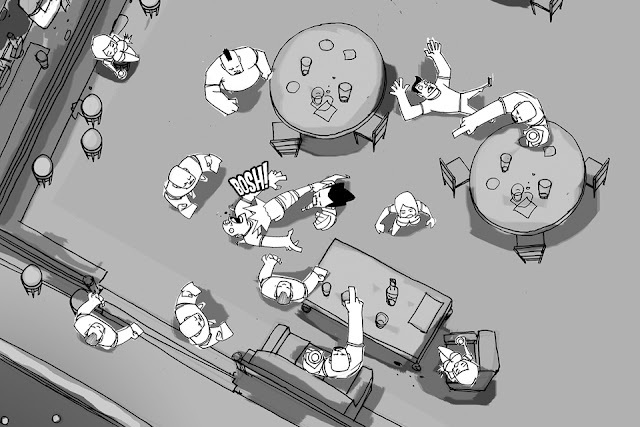 Here are some very early concept sketches of gameplay and how the Bar Fight game might look. 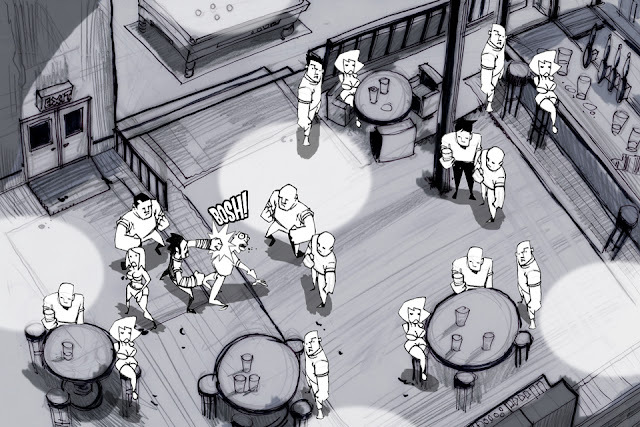 As things stand now it's up to you to let us know how the game will look and play! So get the app and get involved so you can have your say!